A new addition to the stable. I found it at my local gunmakers (they do make guns) who'd had it in stock since the early 1980's but forgotten about it. From the serial number it dates from 1957 I think. The condition of the pistol is virtually as new. Works fine as well. Very nice too. Thanks for sharing the pictures of your LP53. 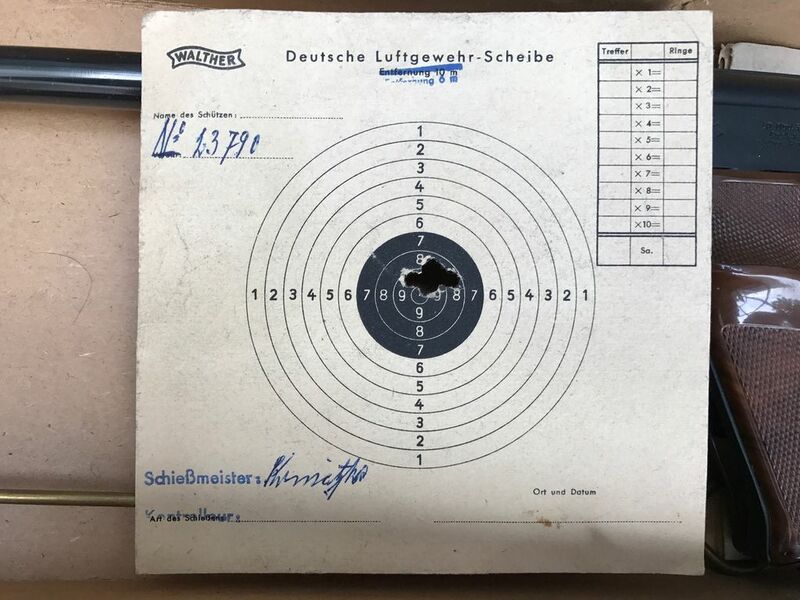 You may already be aware that the LP53 design was heavily influenced by this 1920s British Lincoln Jeffries air pistol.